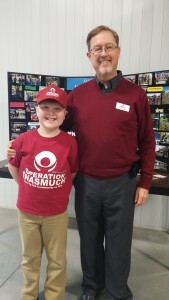 2018 marks the 10th year of North Carolina Baptist Missions partnering with Operation Inasmuch in an every-other-year, state-wide emphasis and regional training events. Beginning January 27 through March 3, 2018, there will be regionalInasmuch Day training events for each of the ten regions designated within the Missions Department of the Convention. Executive Director, John Daugherty, and Founder, David Crocker, will be conducting these events. 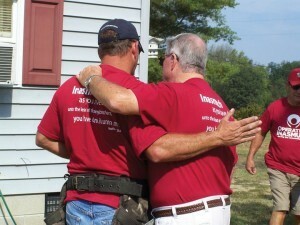 Logan and John at a 2016 NC training event. Any one who has ever started something knows how hard it is to keep it going. New events, organizations or programs usually begin with an exciting vision—dreams about what is possible, about how the world (maybe just the community) will be better as a result of the vision–but that vision almost always fades with the passing of time. And its initiators are left with less going for them than when they began. The following story is the kind that makes what we do at Operation Inasmuch so rewarding, and encourages us to keep on keeping on! There are two Concord Baptist Churches in Chase City, Virginia. Following the Civil War and the Emancipation Proclamation, the black members of Concord Church requested permission to form their own autonomous congregation. Property was donated adjacent to the original, separated by the cemetery, and the two congregations have been neighbors for more than 150 years, and share the same name. Public-private partnerships are the rage in communities—collaborative efforts involving public or governmental entities, private agencies and churches. 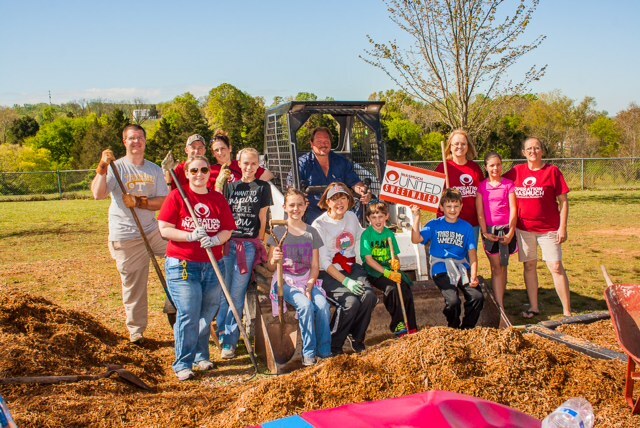 Just such a partnership took place in May in High Point, North Carolina and Inasmuch was the tool that brought it together. The Rappahannock River runs from about King George, Virginia (east of Interstate 95) to the Chesapeake Bay. As it gets closer to the Chesapeake, it becomes a substantial river of up to 1.5 miles wide! Turns out this expansive river is not much of a barrier for Inasmuch! Essex County, Virginia is on the western shore of the Rappahannock. In 2008 about 20 churches there conducted their first Inasmuch United Essex and have followed every year since with more churches and more volunteers each year. In recent years organizers have talked about taking a year off, but the churches have resisted. They say it is one of the most significant events in their community all year! In 2009 word about Inasmuch “floated” across the Rappahannock to the region known as Northern Neck Virginia which includes the counties on the eastern shore of the Rappahannock. 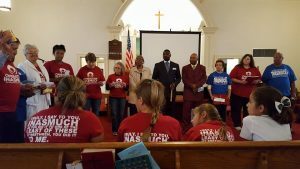 In 2010 a number of congregations in Richmond and Westmoreland Counties conducted their first Inasmuch United Northern Neck event. It expanded the following year to include congregations in Northumberland County. The Rappahannock is fast becoming a model for the rest of Virginia. Plans are underway for a statewide Inasmuch in October of 2014. 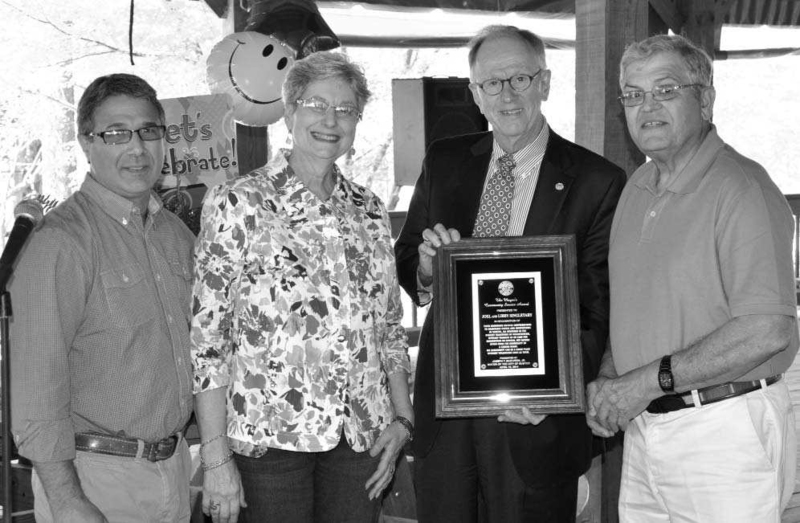 The goal is to have 80 percent of the Baptist churches in the state conduct Inasmuch events across the state during a period of 4 weeks. The Inasmuch ministry is working with the Steering Committee of Operation Inasmuch – Virginia to accomplish these lofty goals. Already 3 Inasmuch training sessions have been conducted in the state with 2 more set for this October and as many as half a dozen next March. Inasmuch United Fort Myers…HUGE Success!! Have you seen God wink? Silly question, you say. No one sees God, much less His wink! Some compassionate souls at Fort Myers, Florida, would beg to differ. They were part of the first Inasmuch United Fort Myers on February 2 and some of them saw God wink. God winks when our plans go wrong and where they put us is just the place God wants us to be. We make a wrong turn on a journey only to discover an opportunity we would have missed if we had stayed “on course” and God winks. We fail to get the job of our dreams only to learn later that the company was on shaky ground and soon folded and God winks. 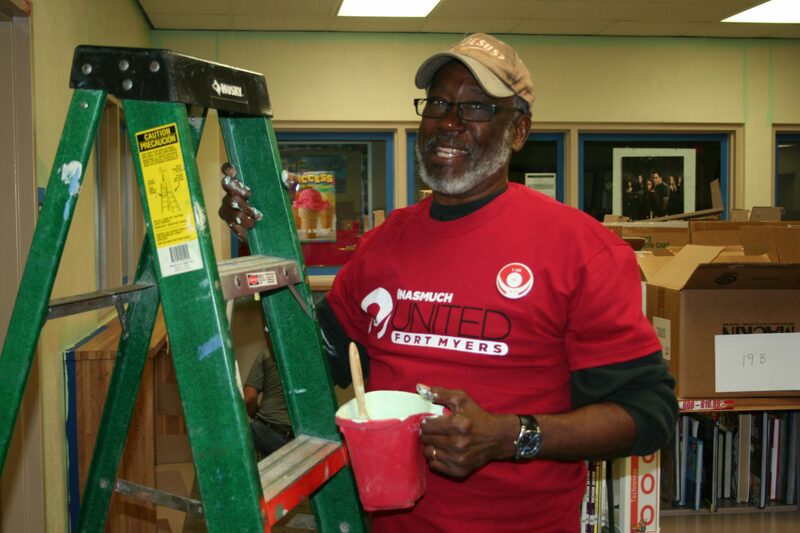 Ready for a painting project … wonder where he saw God wink during his Inasmuch United Fort Myers experience. Nine congregations of various denominations and races united in Fort Myers to mobilize right at 1000 people to minister to thousands of their neighbors in need in 75 compassion ministry projects and God was winking the entire day. One wink was when a volunteer named John went to a Laundromat to “feed the machines,” e.g. pay for up to 3 loads of laundry for customers on the day of the Inasmuch United. But John went to the wrong Laundromat, but instead of correcting his error, he stayed and served the people there. One woman was suspicious of his offer to pay for her laundry, so John explained that he was helping out with his community’s Inasmuch because God had been good to him and he wanted to share some of the blessing. The woman not only accepted his help but also shared that she had recently lost her husband. As a way of dealing with her grief she had started a blog for other grieving people. She had just received a response from a woman in another Florida city who had just lost her son to suicide. Well, . . . John and his wife lost their son to suicide 30 years ago. So, John and his wife are now communicating with that mother in the other city. And God winked. Another volunteer was disappointed to discover on the day of the Inasmuch United Fort Myers that the project she had signed up to do had fallen through at the last minute. She asked to be reassigned and didn’t really care to which project. She was sent to a house that was to be pressure washed and painted—with stucco exterior. Until she arrived no one realized that the project leader had purchased the wrong kind of paint. Since this volunteer and her husband own a paint store, she went to her store and got the correct paint and donated it to the project. And God winked. Next year, she and her husband will donate all the paint to be used on all the painting projects! So, God may be winking for a long time in Fort Myers. 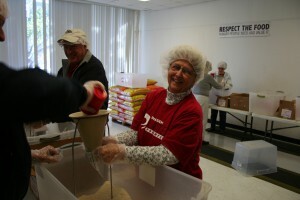 Being the Hands and Feet of Jesus by helping to feed the hungry … another Inasmuch United Fort Myers project. When has God winked during your Inasmuch experience? “God has winked at Inasmuch so many times in recent years that we’ve lost count!” says Crocker. 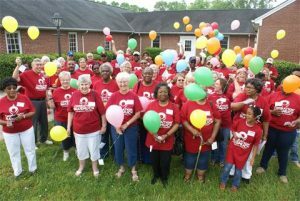 EUREKA – The third Operation Inasmuch project, sponsored by Eureka Christian Church (Disciples of Christ), was held on a very warm Saturday, Aug. 4, in Eureka. Members and friends of ECC and St. Luke’s Catholic Church were sent out to complete work projects for 15 homeowners who either could not afford or physically complete repair work on their homes. Applications for projects were taken by the church, and site evaluators screened the requested work to be sure it met the skills of church members and could be completed in one day. Work included trimming bushes and trees, painting fences, porch and step repair, doorbell installation and other tasks. Other teams cheap cipro online working at the church made shawls and walker bags for local nursing homes residents, prepared food for the work teams and cleaned the kitchen, and guided younger members of the congregation in crafts and singing for nursing home residents. All work was completed free of charge. Funding, food, and supplies for the event were provided by individual donations, as well as the Eureka Area United Fund, Eureka IGA, Cornerstone Restaurant, Eureka Casey’s General Store.